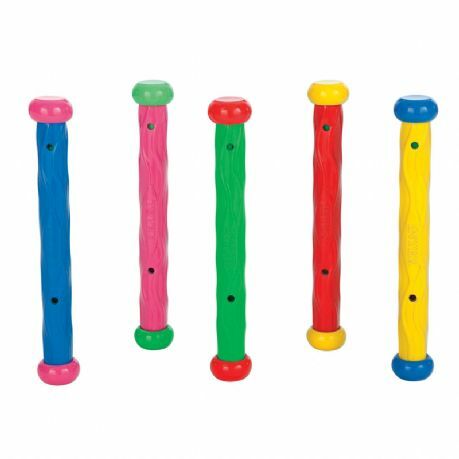 These brightly coloured sticks are great to play with, play hide and seek under the water with them, and even have diving challenges with friends and family to see who can retrieve the most in under a minuite! A product well worth taking on holiday! The Intex Underwater Dive Toys are a handful of fun! Weighted to stand upright on the pool floor. All made from soft and flexible material. 5 bright colours in one set. These brightly coloured rings are one to keep the whole family entertained on holiday or even at home! Invent your own games with them!